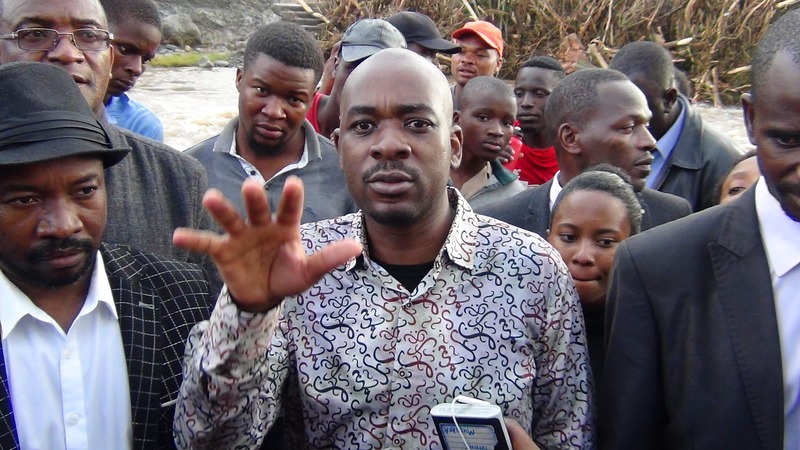 Opposition MDC leader Nelson Chamisa yesterday threw a dig at President Emmerson Mnangagwa over his failure to put in place disaster mitigation mechanisms saying it shows that he is more focused on securing power than the safety of the people. Briefing the media after touring cyclone idai affected areas, the 41-year-old opposition leader said Zimbabwe fares badly in terms of disaster response. “We are not good at planning, we not good at thinking things that save lives. We are good at thinking things that secure and saves power but life is more than just political power. Power is out of the preservation of life of these people who have been at the receiving end. “Going forward, we need to review our disaster systems. We need to look at our disaster early warning systems. We also need to look at our Civic Protection Unit to revamp it and also equip it appropriately. But more importantly deploy all the state institutions in full capacity in such situations ahead of time not to act after the disaster has struck. Chamisa who brought food stuffs and clothes among other items told 263Chat that his party was already on the deck in terms of resource mobilization intended for the victims of the Cyclone Idai including assisting the survivors to bury their loved ones. “We have already done a lot in terms of mobilizing food, logistics, and blankets for the survivors but also to make sure that we help to bury those who have lost their loved ones. Beyond this we are also going to continue to coordinate all other efforts to make sure we put all our hands on the deck. We are only but a political party, a leading political party with the majority of the people supporting us but we need state resources to also kick in to have a collective approach to this problem,” he said. There has been an outcry from the public over the government’s poor response to disasters with the last Kadoma Battlefields Mine disaster also leaving Mnangagwa’s administration on the spot. About 30 artisanal miners perished in the wake of heavy rains that caught the miners unaware during the night with the Civic Protection Unite reported to have delayed to move in to save lives. While rescuing efforts were underway, President Mnangagwa went to Masvingo’s Mwenezi for a rally a move that irked Chamisa and the general public questioning the sincerity of the President whom he likened to a man who leaves for fishing while his home is in flames. Meanwhile, President Mnangagwa has today visited the Cycolne Idai wrecked Manicaland Province to meet face to face with the disaster that befell his country while he was away in United Arab Emirates. He has since consoled families and relatives who lost their loved ones during the disaster. The Zimbabwe National Army (ZNA) has also lately been applauded for leading search of the deceased and they have since recovered more than 40 bodies.